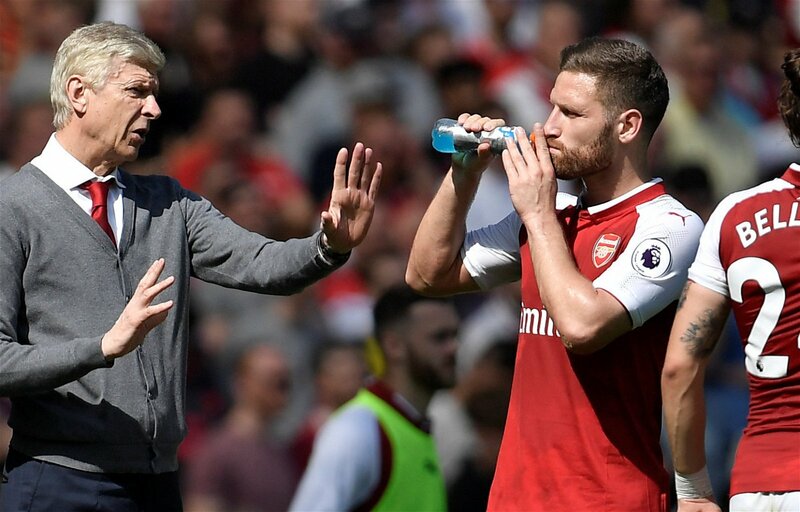 Arsenal’s visit to Stamford Bridge last August was supposed to tell us a few things about how well or otherwise Unai Emery and Maurizio Sarri were implementing their philosophies at their respective new clubs. We were certainly not expecting anything conclusive: after all, Arsene Wenger’s successor had only been announced in May while Sarri arrived from Naples a full two months after that. We were though hoping for clues; glimpses of the reimaginings to come. In the event the game only produced more question marks. Each side took it in turns to be dominant and were mostly incisive in the final third but it was impossible to gauge just how incisive against two disconcertingly uncertain defences. Petr Cech in particular looked deeply uncomfortable adhering to Emery’s mandate to invite the high press but he was hardly alone and across both rear-guards players considered what was being demanded of them rather than moving instinctively. In the ferocious environs of elite football that split-second of doubt can make a great talent look positively Sunday League. Tactically, the home side were set up in the Italian’s trademark 4-3-3 so no surprises there. Arsenal meanwhile deployed a double-pivot which again told us very little as Emery had long been a fan of such central conservatism. Besides, this was Chelsea away. It made sense. Frustratingly then, the first meeting this season between these charismatic coaches barely informed because simply put there wasn’t enough to go on. We were art critics appraising a doodle. Six months have now passed since that sunny afternoon and with 61 games accumulatively contested across all competitions the dots are now beginning to join together. We can see what each coach is attempting to create and we can assess how successful those processes are proving to be. And with Emery and Sarri set to pit their wits against one another again this weekend what must concern both Arsenal and Chelsea supporters is that the negatives are beginning to outweigh the positives. Firstly however, let’s add a caveat or two. The Gunners and the Blues presently inhabit fourth and fifth in the league table and considering the scale of transformation required at each club – with Emery reviving a club that had grown stale under Wenger and Sarri having to lift a squad depleted of spirit after enduring two consecutive brattish managers – that is where they could realistically expect to be at this juncture. 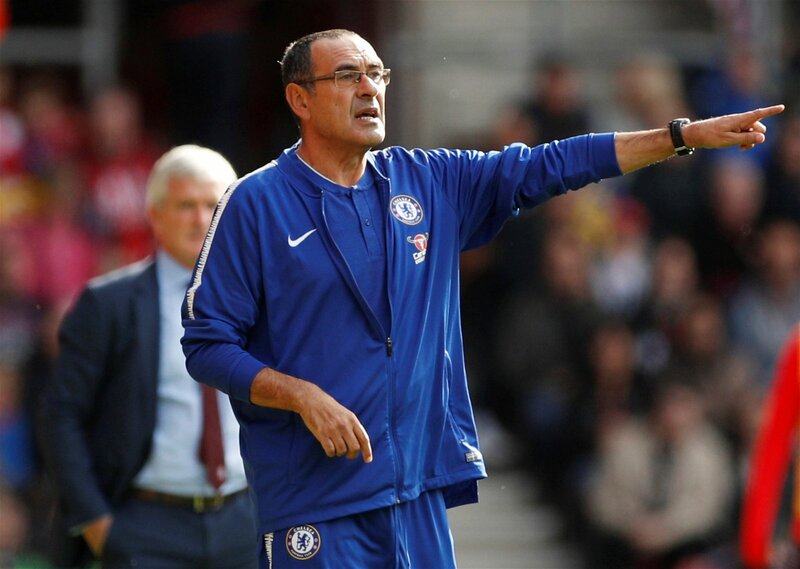 Furthermore, we shouldn’t disregard the surprising swiftness that the Chelsea stars embraced and understood Sarri-ball – because it was anticipated that this alone would take a good few months – while Arsenal’s 22-match unbeaten streak that ended prior to Christmas revealed that Emery’s ways unquestionably work with the right wind behind them. It should be stated too that a coach should never be wholly judged until at least halfway through his second season with a minimum of three transfer windows negotiated. Even so, even with those caveats accepted, the glitches in each matrix stand out. At Chelsea results are outstripping performances and it is becoming increasingly obvious that games are being won solely through possessing superior quality which is always a worrying red flag for any big club. It is an indicator that victories are being achieved in spite of their coach rather than because and often too that quality has come from the twinkling boots of Eden Hazard. Lord knows where they would be without him this term. Scheming with minimal success around the Belgian are Willian and Pedro, with the former in particular an unpopular figure among the Bridge faithful while the charge persists and grows that this isn’t anything like the rabid, complete Sarri-ball that took the breath away at Napoli. Rather, it is strangely almost a version of Arsenal-lite in the good days of Wenger, a passing side who are easy on the eye but lacking any end product or cutting edge. Across the capital Arsenal similarly have severe and significant shortcomings. Emery’s aforementioned caution in the middle of the park exasperates Gooners while the exclusion of Mesut Ozil – undoubtedly the Gunners’ marquee talent – only adds to the consternation. An inability to win against the big boys meanwhile has carried over from recent times as too has the accusation that Arsenal are flat-track bullies. Two fixtures over New Year bear this out perfectly, with Emery’s men shorn of pride and honour at Anfield only to then lord it over Fulham. Most worryingly of all is the team’s propensity to start games poorly, coming into their own during the second half, usually after substitutions. If nothing else that suggests Emery’s team selections are amiss. Does this all amount to anything like a crisis in either camp? Of course not. Nor does it suggest Sarri or Emery are unsuitable incumbents in the two most prestigious footballing positions in London. It’s just that perhaps we all expected a little more by now. More cause for excitement; more advancement on what preceded their arrivals. This Saturday’s clash could tell us a great deal about where Sarri’s Chelsea resides and where Emery’s Arsenal is. What we couldn’t foresee way back in August is that the answers might not be entirely palatable to either fan-base.